Everyone takes notes differently, but not all note taking methods are equal in their effectiveness. Recent research has discovered that despite our ever evolving love affair with technology in all aspects of our lives, handwritten notes still seem to produce better learning outcomes for University students. The study found that when students use laptops to take notes during a lecture, their long term memory for the concepts learned is worse than when they take notes by hand. So even if you're not using your laptop as a means of distraction (Facebook, Shopping, etc. ), you could still be holding yourself back just by the fact that you're not handwriting your notes! If you're like me, though, you simply can no longer keep up by hand! Maybe it is muscle atrophy, but I am so used to typing that handwriting no longer comes naturally. Despite this, there are still times when nothing but handwritten notes will do for me. When writing an outline for a paper, planning lecture notes, or drawing out a map of how different concepts relate to one another, I still prefer good ole' pen and paper. But how can you make these two worlds work together for you? You have to play around to find out what works best. Try taking notes by hand in one class and typing your notes in another. If they're fairly similar courses in terms of difficulty and type of content (perhaps Intro Psych and Intro Soc), this might be a good little mini-experiment to learn about your own note-taking habits and recipes for success. If you can't keep up in class by taking notes by hand, then try taking notes by hand while studying. If you find handwritten notes do work well for you, this still doesn't mean that you have to give up your love affair with technology. There are amazing options now for creating digital records of your handwritten notes. 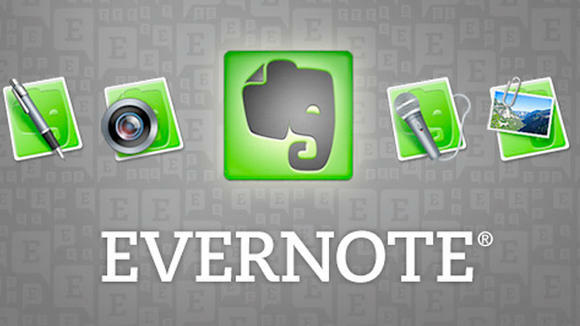 The one I like best is Evernote. While many apps provide high quality scanning features that let you take pictures of your notes in order to digitize them, Evernote goes one step further by providing you with the organizational structure within which you can organize your notes. If your handwriting isn't atrocious, you'll even be able to search through your handwritten notes! (See an example below! Interested in learning more about how you can use Evernote to organize the notes you take? Here's a useful post on the topic. ← Do You Ever Wish You Could Rescue Yourself From The Internet?